The question of whether the nonprofit environmental group NC WARN behaved like a public utility in selling a small amount of solar power to a Greensboro church will now be decided by the state Supreme Court. NC WARN filed its intent to appeal today. Three judges from the state appeals court ruled against the nonprofit — and for Duke Energy — in September. But since the decision was split 2–1, the case automatically goes to the supreme court. 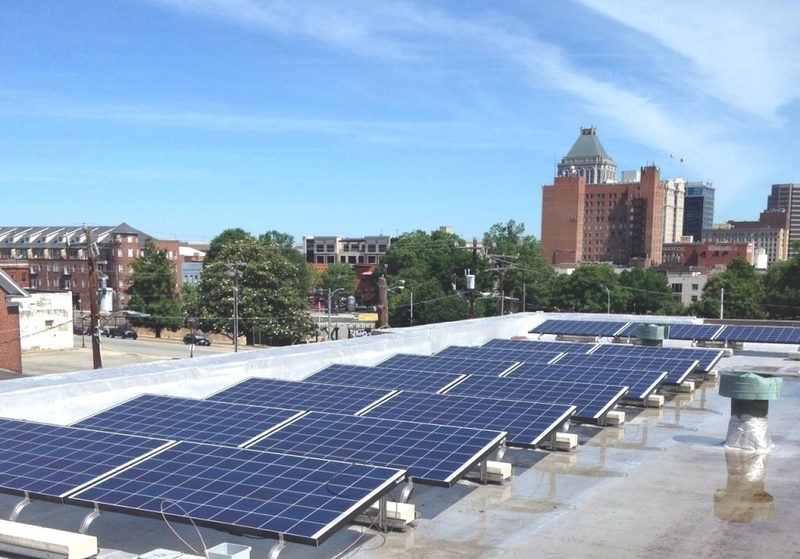 The dispute began in 2015, when NC WARN, at the request of Faith Community Church, installed a 5.25-kilowatt system on the roof. The system covers only part of the building’s energy needs; the church buys the rest of its power from Duke. Legislation passed this year made is legal in North Carolina, under certain circumstances to lease solar power as a third-party. But NC WARN is selling the energy as part of its financing agreement for the solar system with the church. As part of a power purchase agreement, the church leases the system from NC WARN by paying 5 cents a kilowatt hour for solar-generated electricity. Duke Energy has successfully argued that the very act of selling power transforms NC WARN into a utility and infringes on Duke’s legal monopoly. Appeals Court Judge Chris Dillon, though, disagreed. He wrote that NC WARN wasn’t acting as a public utility because one church doesn’t meet the definition of “public.” Nor does the nonprofit’s financial arrangement of leasing the system — basing it on a kilowatt hour basis rather than a flat monthly rate, Dillon wrote. NC WARN has stopped selling power to the church until the court case is resolved. The group has escrowed the money the church had already paid.